Deliciously Savvy received product in exchange for an honest and unbiased review and all opinions are 1% my own. Regardless, I only review products that I am truly interested in for myself and my family and of course for sharing those reviews with my savvy readers. Thanks for stopping by and enjoy! If you enjoy a delicious cup of freshly brewed tea like my husband and I do, then you have to check out Adagio Teas. I am hooked after receiving my first order and am in love with their selection of delicious teas. My husband loves a delicious Chai Tea so I knew that was what I needed to get for him as I know he will be so excited to be able to make his own delicious Chai Tea. It is delicious hot of course… but for the summer we are enjoying it as an Iced Chai Tea and it is so refreshing and delicious. 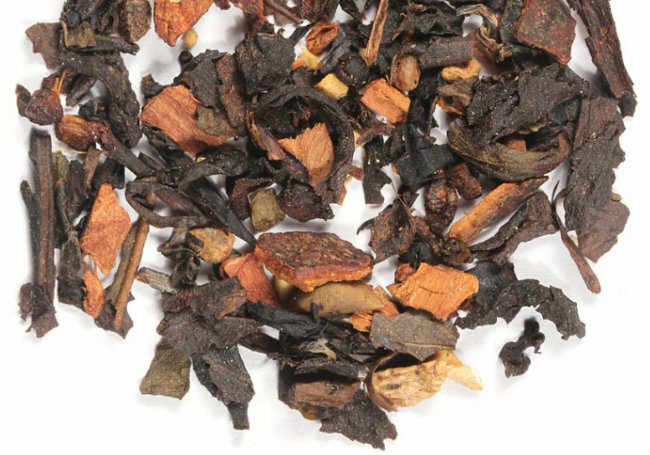 Plus, Adagio Teas makes the ingenuiTEA which is amazing for anyone that loves freshly brewed loose leaf tea. 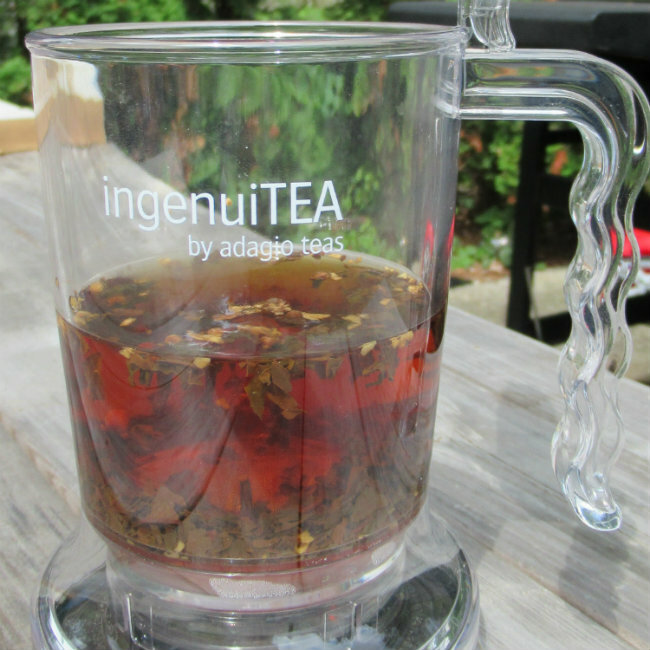 The ingenuiTEA is the most convenient teapot you will find anywhere. When your tea is ready, you simply place it on top of your cup. Doing this causes the valve at the bottom to release the tea all while filtering out the loose tea leaves via a mesh filter that is built into the bottom. The ingenuiTEA is super easy to clean and is dishwasher safe. It is 16oz and is made of Tritan, a plastic specially formulated to be safe in hot temperatures and is also 100% BPA free. The built in filter basket is stainless steel. Check it out below…. You can see the ingenuiTEA in action above. I made a small cup of tea for Allen and added a bit of milk and sugar after it was ready. We let the tea & boiling water steep for about 6 or 7 minutes to develop a rich chai flavor and I have to say it was super delicious. 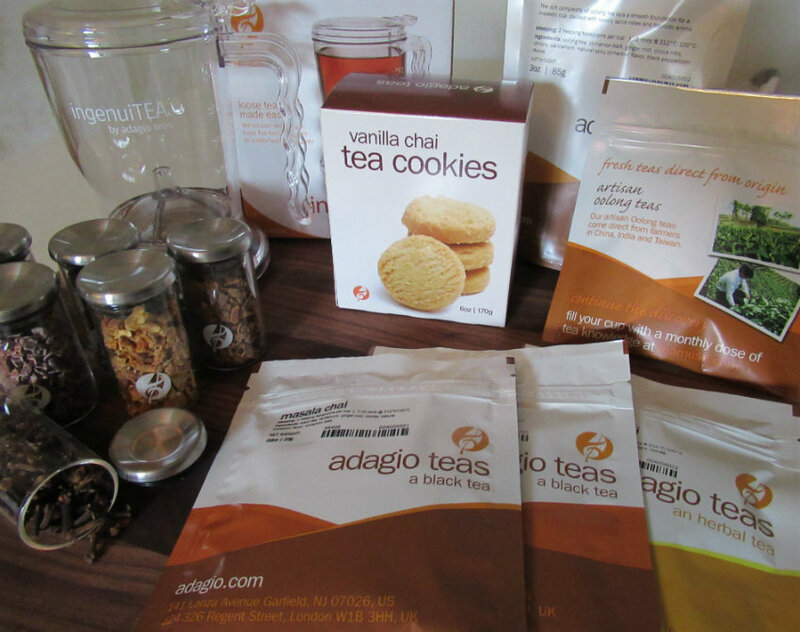 I picked up a few flavors of tea from Adagio Teas and even some delicious tea cookies, as I had to give them a try. Adagio Teas has everything a tea connoisseur could need or want and I have to say that this is a fabulous gift idea not only for yourself if you love a good cup of tea, but also for any tea lover in your life. My mom loves a good cup of tea, so the next time I send her a gift, I am definitely going to be getting her some Adagio Teas or maybe a gift card so that she can select whatever she would like. Here are the delicious goodies I picked up at Adagio Teas….. The Adagio Teas Mix & Match Chai & Masala Variety Tea Gift Set includes 3 delicious teas and 6 delicious inclusions to add extra delicious flavor to every cup you make. In the Chai and Masala variety you receive Masala Chai Tea, Rooibos Vanilla Chai Tea and Chocolate Chai Tea. You receive inclusions that are perfectly matched to add to any of these delicious Chai Tea varieties and they come in adorable little storage jars to keep them fresh and ready t use whenever you need them. This is a fabulous gift as it is packaged beautifully. You receive a jar of each…. Cloves, Cinnamon, Ginger, Cardamom, Orange Peels and Cocoa Nibs. 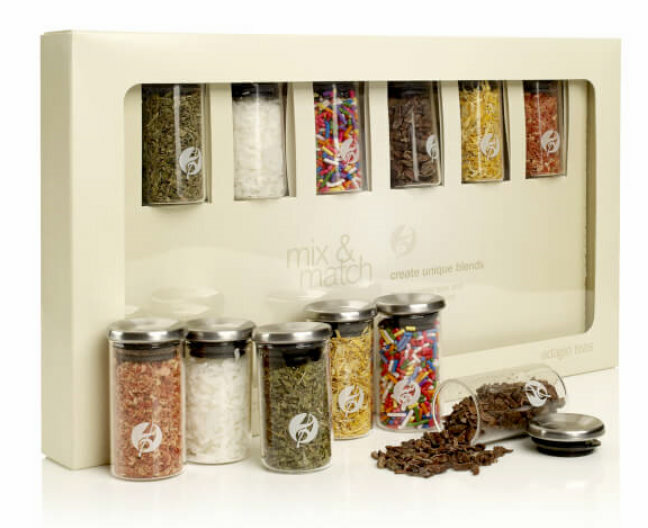 These Mix & Match gift sets are also available in Iced Cream Trio & Orange & Spice Varieties. 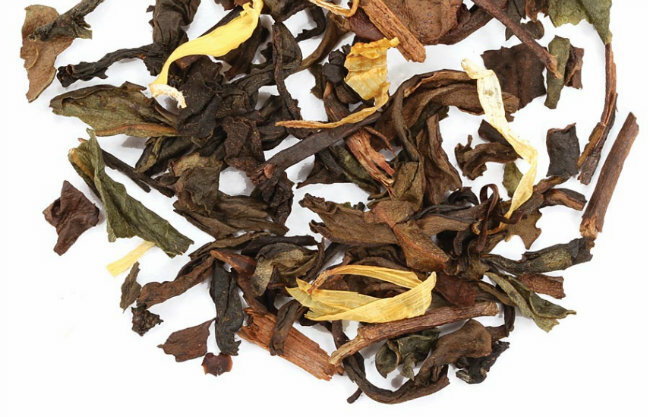 The Adagio Teas Raja Oolong Chai is a blend fit for royalty. This is an Indian inspired chai that is a cinnamon lover’s dream. The rich complexity of oolong tea lays a smooth foundation for a majestic cup, packed with savory spice notes and hypnotic aroma. Elements of cinnamon, ginger, cardamom, chicory and cocoa nibs harmoniously blend together creating an exciting, yet truly satisfying chai that is sure to tickle your taste buds. This is for sure Al’s favorite. He loves this and has made a cup every day for the last 4 days. The Adagio Teas Peach Oolong is made with the darker, more oxidized oolongs of Taiwan that are known for having lush, playful flavors. Deeply floral, honey and juicy, it’s not uncommon to have a lovely cup that’s almost like a succulent slice of peach. Why not let the tea play with some actual peaches? Fragrant and sweet like a perfectly ripe fruit, with a smooth astringency and lingering floral aroma. This is my all time favorite and I will be getting a larger bag next time. Love it! 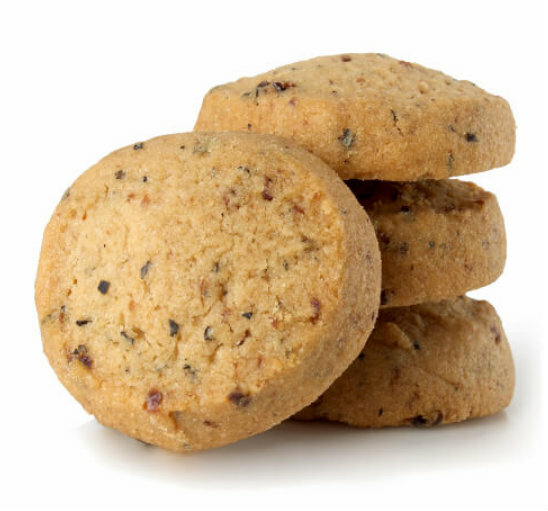 The Adagio Teas Vanilla Chai cookies will hit the spot as they are buttery and rich with a hint of tea flavor. I love that their tea cookies also include real tea leaves, which adds to their unique flavor. Grab a bag and it’ll be sure to become a hit at your next tea party or afternoon tea. My husband and I really enjoyed these with our cups of tea and they are so buttery and rich. YUM! So what do you think of Adagio Tea? All I can tell you is that they are delicious teas and the ingenuiTEA is the most amazing and easy to use teapot ever! Check out Adagio Teas today and stop by and visit them on social media as well. As Always, Thank You For Visiting Deliciously Savvy & Leave Some Comment Love And/Or Enter A Giveaway While You Are Here! I Always Love Hearing From You! Thank you for sharing. I have never tried this tea. I will have to check it out. Hmm, I’m usually not a hot tea drinker, but I love peach tea. I’d definitely try that one. oh how wonderful. thanks for sharing. cut teas are so much better for us. most tea bags are just tea dust. Ok, that IngenuiTEA is so cool. And I have heard of Adagio teas but have never tried them. Would love some Iced Chai right now. This looks like such a cool tea maker, I love that it has the filter basket! My dad is a huge tea fan as well so this would be a great gift for him. 🙂 Thanks for sharing! We are huge fans of Adagio teas at our house. I have one cabinet that looks like it belongs in one of their stores (and smells SO good every time I open the cabinet door). My daughter and I always stop at the Naperville store when we go to Anderson Books, which is right down the street. We always spend more than we should, but they always have so many varieties we just have to try (or need to restock). She has their ingenuiTEA, although I believe hers is an older version. It gets plenty of use at our house. Those teas sound so delicious. I just tried a nice lemon cucumber tea last night which was quite pleasing to me. (Savvy Product Review) These special blended teas sound amazing to me. My youngest brother drinks a lot of cold tea all year around. I know that he would really like the; Adagio Teas Mix & Match Chai & Masala Variety Tea Gift Set.